Many people working in urban school districts are aware of the existence of a so-called cradle-to-prison pipeline. The 2008 Children’s Defense Fund’s campaign offered a clear-eyed look at the link between childhood poverty and incarceration, and the particularly negative effect it has on black and Latino youth. But many teachers may not know that some of their retirement benefits stem from investments in prisons because of a pension-to-prison connection, says Michelle Sapere, a teacher with the Rochester City School District. Sapere is one of several teachers who formed ROC-Teachers Against Student Exploitation, a social justice caucus of Rochester Teachers Association members. 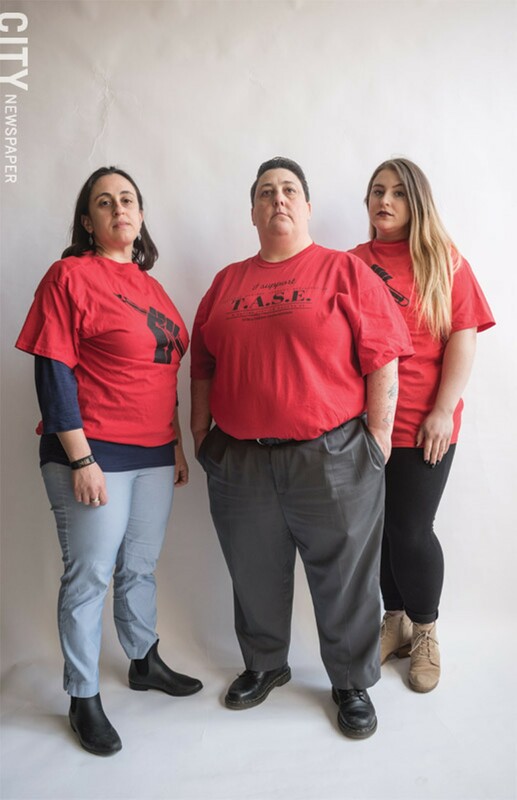 ROC-TASE has launched a new campaign to get the New York State Teachers’ Retirement System, which manages the teacher pension system, to divest from private prisons like CoreCivics and GEO Group. According to a report earlier this year from the American Federation of Teachers, some of the nation’s largest public pension funds – including NYSTERS, the California Public Employees’ Retirement System, and the Ohio Public Employees’ Retirement System – hold millions of dollars in stock in the two prisons. NYSTERS has limited investment in private prisons, John Cardillo, a NYSTERS spokesperson, said in a written statement. And in one sense, that’s true. The AFT report estimates that NYSTERS has about $75 million invested in CoreCivics and GEO out of the billions of dollars that it manages. But, the AFT report said, this is “first and foremost, a humanitarian and civil rights issue.” In those terms, any amount is too much, the report said. Profiting from the prison system is the antithesis of what any educator should be doing, Sapere says. And many teachers, including some retirees the group has spoken to, are shocked when they find out that their pension system makes money from prison investments. Equally disturbing are some prison programs that pay inmates less than a dollar an hour to make school desks and chairs, Sapere says. The cradle-to-prison pipeline isn’t just an urban school district issue, says ROC-TASE member Meagan Harris. The group’s members are reaching out to teachers in area suburban and rural districts, and they hope to persuade Buffalo and Syracuse teachers to join them in urging NYSTER to change the investment strategy. ROC-TASE teachers have learned, however, that divestment won’t be easy. The issue has come up before: Local education activist and school board candidate Howard Eagle brought NYSTERS’ investment in prisons to RTA President Adam Urbanski’s attention back in 2015. And Urbanski tried to stop it. “I’m personally opposed to investments in public and private prisons, and we at RTA are on record on that,” Urbanski says. RTA passed a resolution opposing NYSTER’s investment in prisons two years ago, Urbanski says, and the union took the issue to the New York State United Teachers convention, where members passed a similar resolution. But that’s where the effort stalled. NYSTERS is not controlled by NYSUT. It’s a separate entity with its own board. NYSUT doesn’t have a controlling majority on the board, Urbanski says, and NYSTERS has continued investing in prisons despite strong opposition. Financial experts who manage large investment portfolios often argue that their first job is to maximize the capital they’re working with while avoiding as much risk as possible. And social, religious, and political issues can make that job more difficult. For instance, there have been calls to divest from the fossil fuel industry, as well as from gun and military equipment manufacturers. Harris says working with NYSTERS on the issue has been sort of like peeling an onion. It’s a complex problem, and there are a lot of people involved with the pension system. It’s been hard to determine who can make the decision to stop this, Harris says.